This is the sixth installment of Baker’s Dozen, an exclusive vinyl series that shines a light on the best minds of instrumental hip-hop, ambient, and electronic music. Each installment gives one artist carte blanche to capture their signature sound. 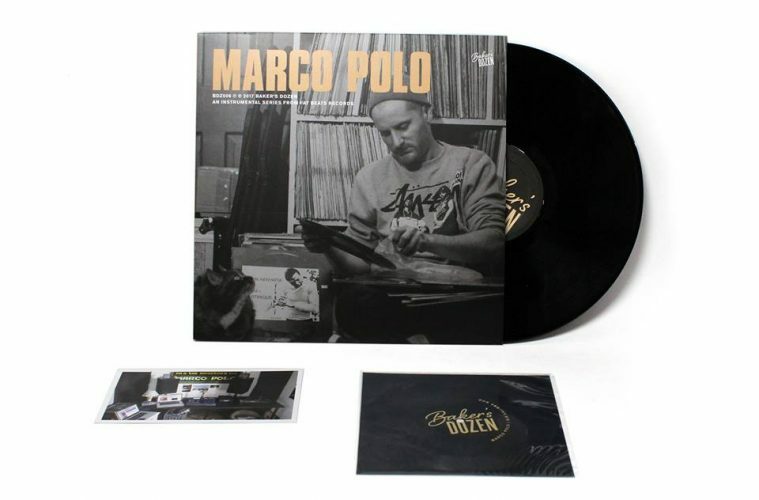 It is presented by Fat Beats Records and the latest installment is compliments of Toronto's super-producer, Marco Polo, who brings his signature boombap flavor to the series. New York City is the birthplace of Fat Beats (and as many would say, hip-hop in general) and with Marco living in NYC the last decade, Marco Polo is true to form in representing our roots. You'll recognize some of the beats from Boot Camp Clik, Prhyme, Large Professor & more. As always, every volume of BDZ features one artist and twelve tracks (with limited random copies including the Baker’s Dozen bonus track on a flexidisc) and comes equipped with a 5x7” postcard insert that features a photo of the artist’s workspace along with the equipment used in their music making process. You can stream Marco Polo's BDZ below.